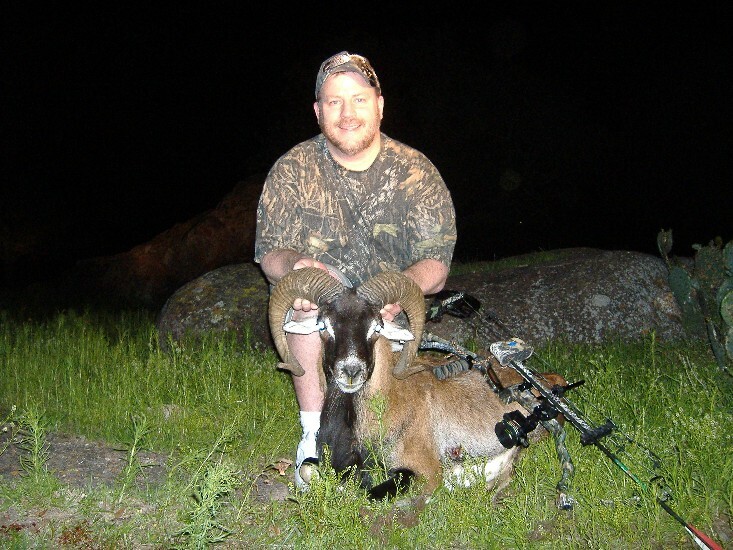 This Hunt is for a $700 class Mouflon Ram. We have Mouflon Rams for $300, $700, $1500, and up. This handsome wild sheep has black hair on their faces and necks. They are brown on their sides and white on their bellies. In the fall, they can have a white saddle patch on their flanks. Their horns grow up, out, down, and then back in toward their eyes. The females have very small horns or no horns. Large males weigh 110 pounds and females weigh 75 pounds. The Mouflon has been transplanted throughout Europe. They are considered the most handsome of all the wild sheep.